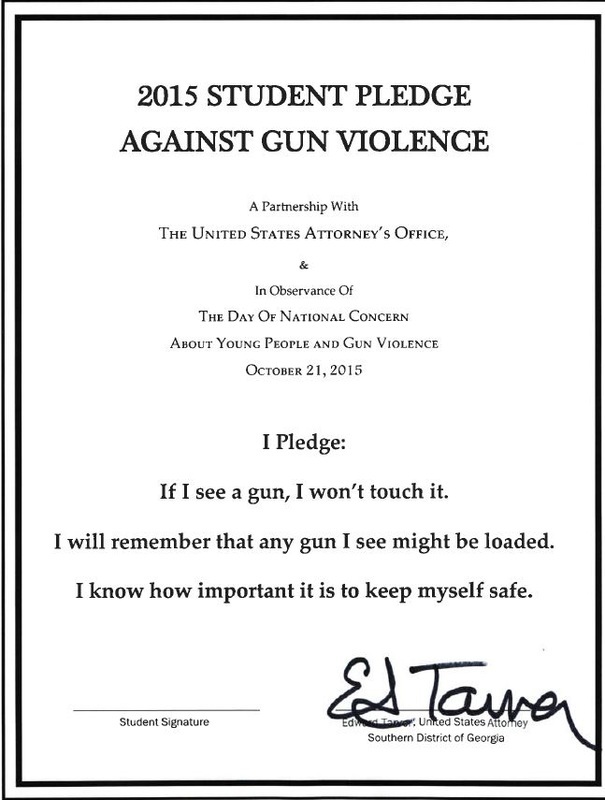 On October 21st, the students at CGCA joined with schools across the nation in observing the National Day of Concern about Young People and Gun Violence, by taking the Student Pledge Against Gun Violence. 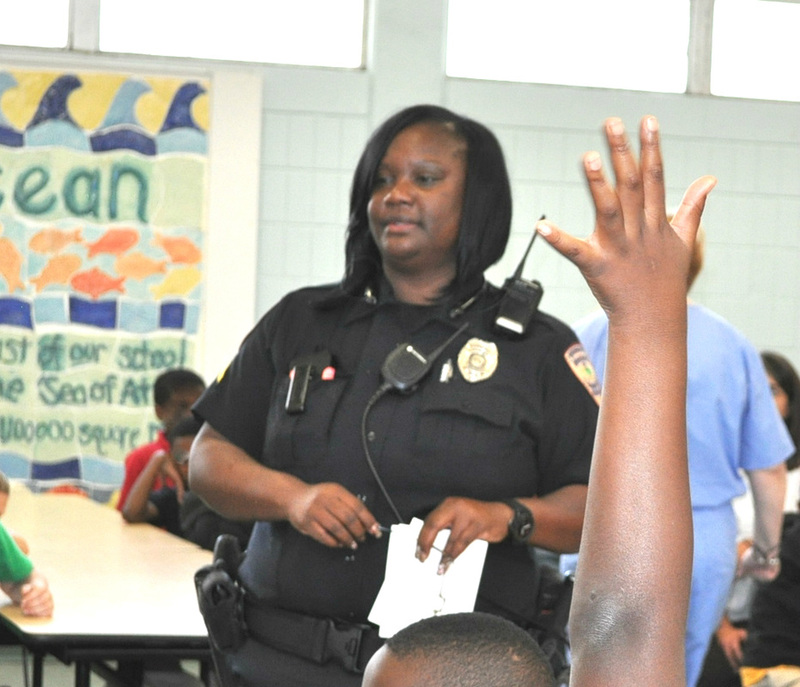 Officer Wanda Early, the CGCA Resource Officer, led the elementary students in discussion about gun safety. 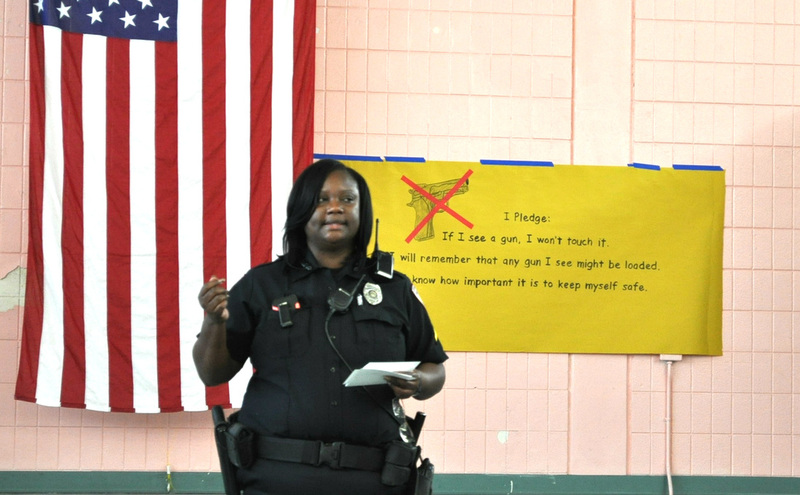 Students were taught the importance of never touching a gun and reporting any gun they see to the nearest adult! 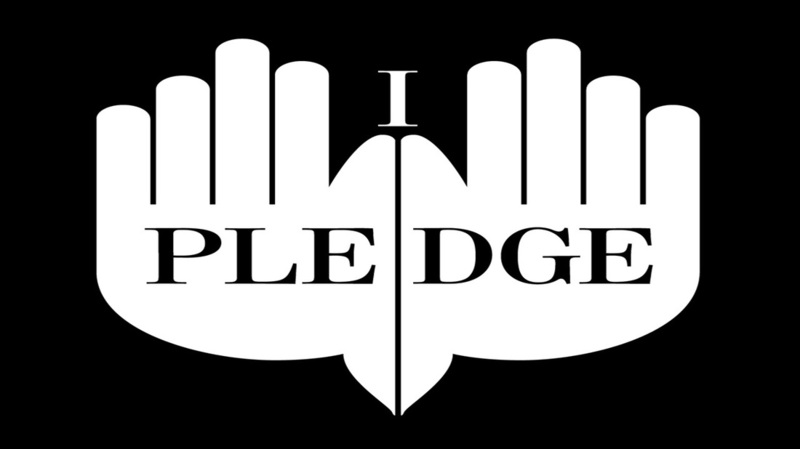 ​The Student Pledge Against Gun Violence is held in conjunction with the National Day of Concern about Young People and Gun Violence, which honors the role that young people, through their own decisions, can play in reducing gun violence. This campaign against youth gun violence provides a means for beginning the conversation with young people about gun violence.